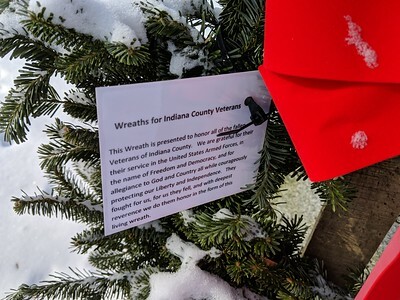 This photo appears courtesy of the Indiana Gazette. 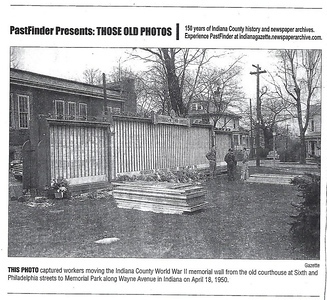 The photo depicts a veteran's wall that was installed at Memorial Park on April 18, 1950. 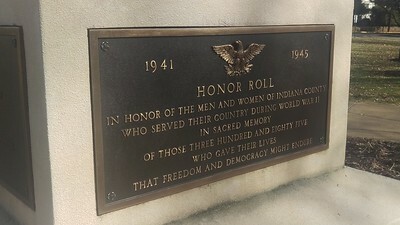 After visiting Indiana, PA for his 75th birthday celebration the actor James Stewart sent a contribution to the Indiana Area Jaycees. 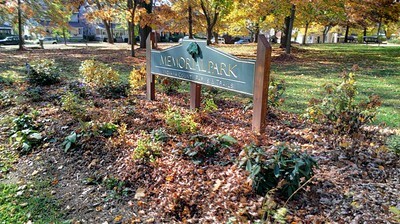 The funds were used to upgrade and improve the park and this plaque at the park recognizes Mr. Stewart's contribution. 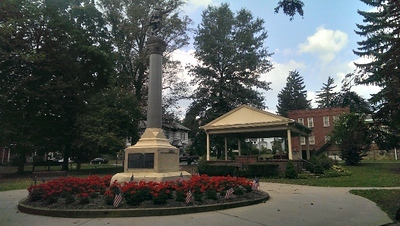 Mr. Stewart's father, Alex Stewart, was instrumental in having the monument at the park erected. 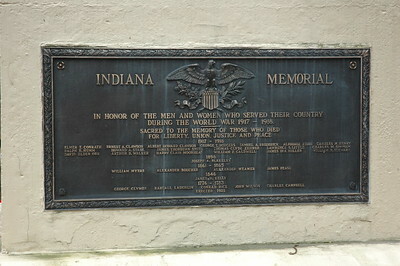 Jimmy himself reportedly left a penny under foundation of the monument. 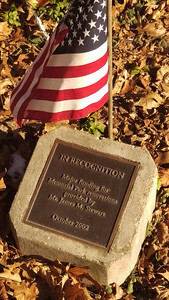 This marker was added to the park on April 23, 2016. 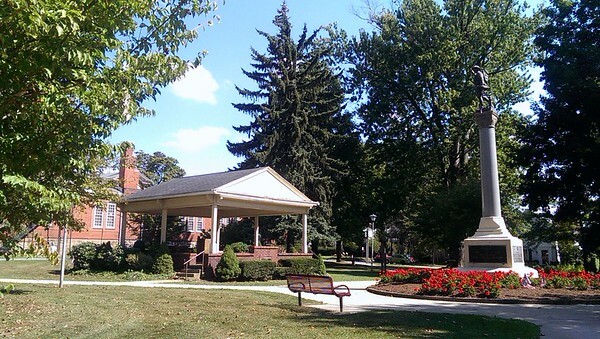 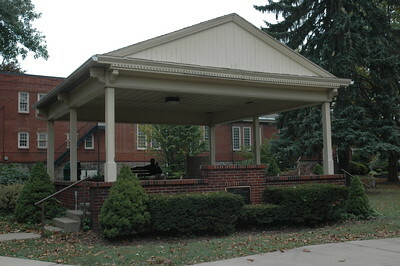 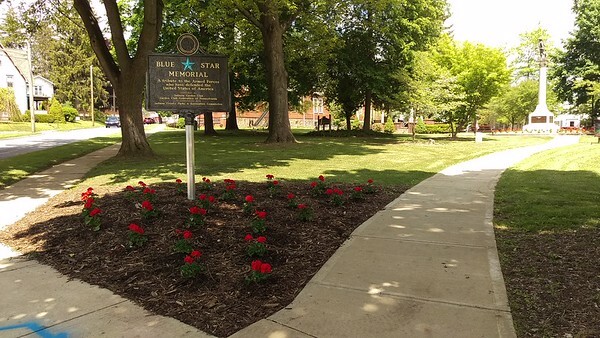 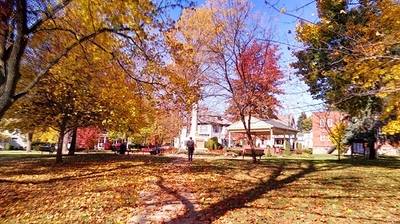 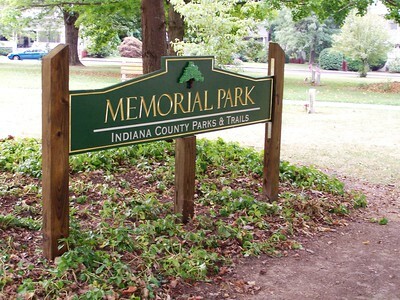 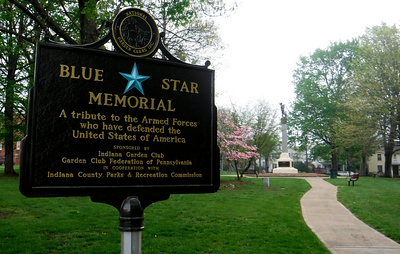 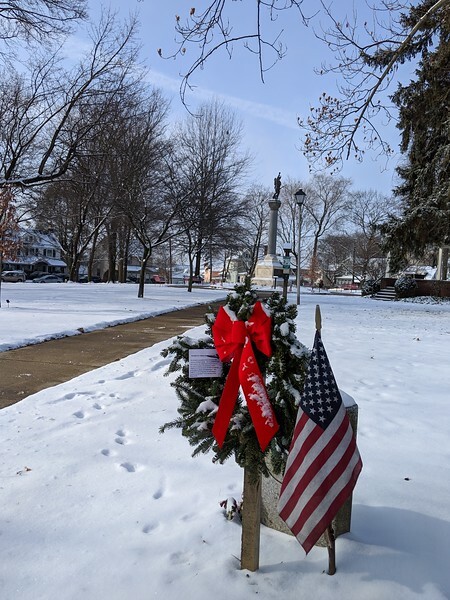 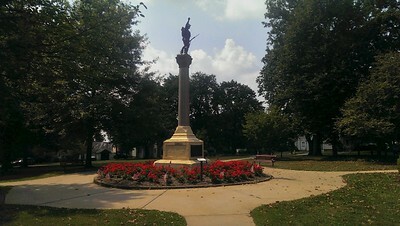 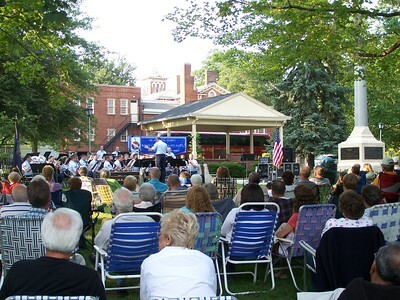 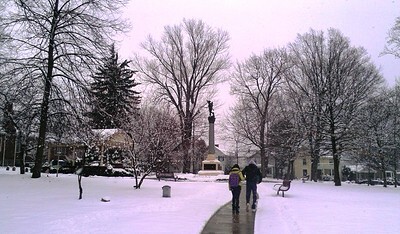 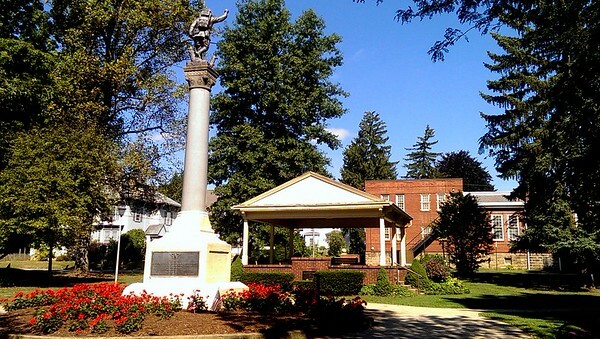 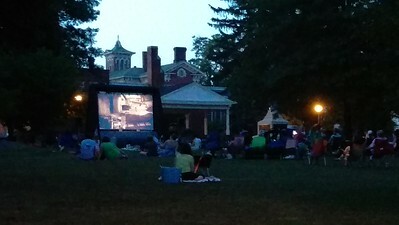 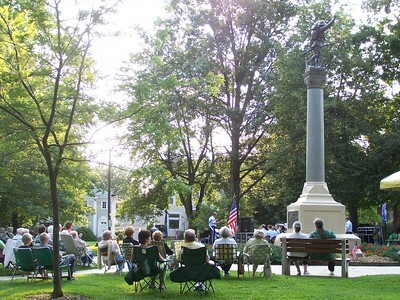 Although we call it Memorial Park the site is also one of Indiana, PA's first cemeteries. 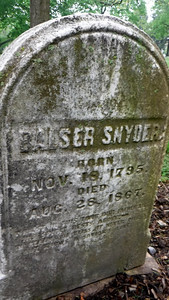 Burials started here in 1803 and continued until c. 1875.